Healthcare has come leaps and bounds thanks to modern technological advances. Robots are assisting in surgery, and telemedicine provides services to remote areas. Now, there’s an app that allows patients to interact with their doctor from home. India Virtual Hospital (IVH) Patient Care is a new mobile application launched early in July to help patients stay in touch with their medical providers without traveling to the clinic or hospital. This India-based technology is an incredible innovation for many patients who have a difficult time getting to a doctor’s office—whether they’re living in a rural area, are elderly or disabled, or they’re traveling. The app is primarily advertised as a way to keep those with medical conditions under observation while they travel. Instead of being stuck athome while the rest of their family goes on vacation, patients can stay in contact with their doctor. Physicians can coordinate any trips to the hospital and be a great support to the patient and their family members during this time. It also helps patients find a physician in their area if someone gets unexpectedly hurt or sick on the trip. This isn’t the first time we’ve seen an app that connects a patient directly with their healthcare provider. This technology is very much like that used for apps that aid in the speedy recovery from surgeries. Patients are often slow to recover after surgery because of forgotten instructions or missed appointments. 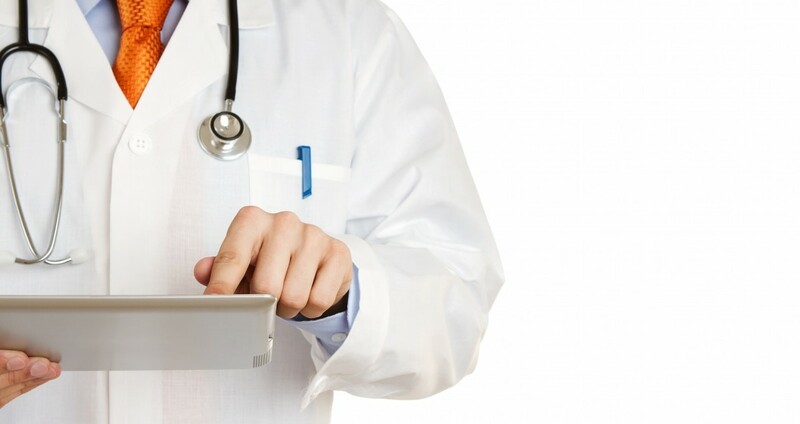 Apps like SeamlessMD connect patients to their surgeons in order to facilitate a quick recovery. IVH Patient Care works much the same way, but it’s focused on open communication and long-standing records in any healthcare setting. Patients can create a profile within the app and connect it with their healthcare physicians. It’s kind of like a social media app, but on a much smaller and more private scale. Any information shared on this app will be completely private, according to HIPAA regulations. Once the profile has been set up, patients can update their status, define the kind of treatment they’re undergoing, report to doctors, and ask questions. In turn, the doctor can check the status, provide guidance, and leave instructions for next steps in care. The app is particularly useful for doctors who are trying to keep more accurate records of their patients, no matter where they receive treatment. They’ll be able to more fully monitor their health, and if the patient changes physicians for any reason, the data can be transferred to the new doctor. Tarun Sahani, Internal and Hyperbaric Medicine expert at Indraprasta Apollo Hospital says that this application will be of particular benefit to those being transferred to a specialist. It gives healthcare providers a more holistic view that can challenge many of the gaps that often come with healthcare. With the use of this app, the primary healthcare physician can stay up to date on the patient. This will help to reduce errors in hospitals as well, since many errors can occur when transferring health records. Research shows that patient charts go missing on 30 percent of visits to a specialist, leaving the specialist scrambling to get enough information to treat the patient correctly. The hope here is that patients who are traveling or being transferred to a specialist can keep their medical records close to them. The primary physician can transfer records to the doctor on hand, or the patient can show them their records through the app with the primary physician’s explicit instructions. Better communication could make all the difference in limiting errors in healthcare. If successfully integrated into healthcare, IVH Patient Care could work well with other applications with a similar goal. It’s a testament to the way technology and healthcare work together for improved quality of life. There’s been a lot of talk about providing a more holistic approach to healthcare, but it’s nothing new. One paper was published back in 1989 about how healthcare problems are evolving, and a holistic health oriented model is the only way to combat the changes. Many strategies have been tried, but the use of technology has been the most effective. It closes the data gap that prevents hospital administrators and healthcare professionals from effectively doing their jobs. Apps like this one can be a lifesaver for patients, developing a more complete healthcare regime for everyone.